I'm not ashamed to admit that one of the reasons I was excited about the ACS conference being in Iowa was that I knew there was going to be a lot of pork. Pork is hands down my favorite meat and most of the pork being raised in the US (particularly the heritage breeds) is done in this area. When I saw the Pork Tour on the list of things to do, I had to sign up. Wednesdays are often when people are still coming in but because it's the day of the Certified Cheese Professional exam, there still tends to be quite a few people already in town. 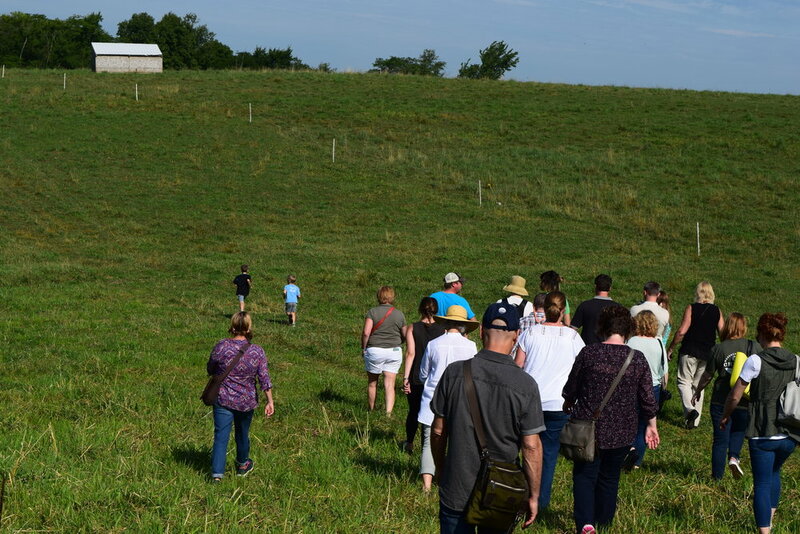 ACS has taken to doing regional tours that focus on particular culinary delights of the area. Of course, pork was going to be on the menu. We were promised a little farm time, a little factory time, and a little party time. It delivered on all accounts! 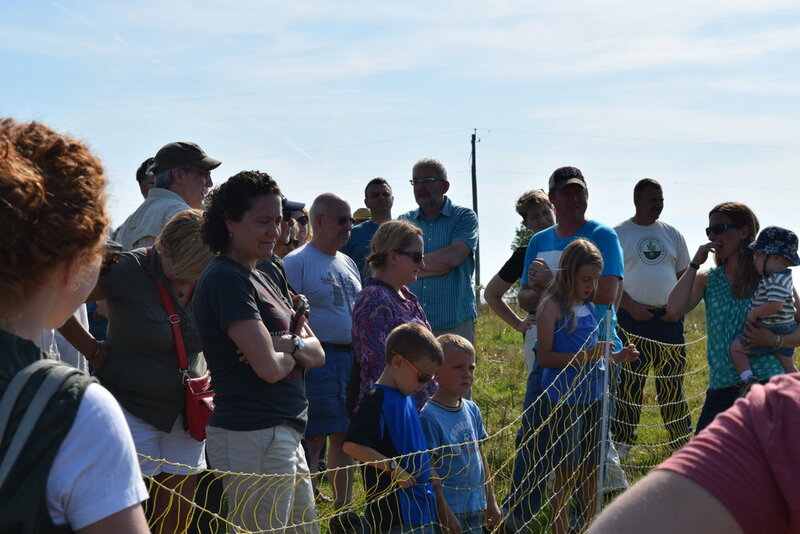 We started off at Crooked Gap Farms , a small family pig farm in Knoxville, IA. Ethan and Rebecca moved on to the farm in 2008 and worked tirelessly to build themselves from the ground up. Starting on 40 untouched acres, they built everything on the farm including their house. Having never farmed, there were plenty of difficulties but Ethan and Rebecca carried on and now, with their 5 children, they have a beautiful, and very active farm. Pigs, cattle, sheep, chickens, and even rabbits fill the grounds. Rebecca has quite a gorgeous garden also. This is the kind of place we all imagine when we buy food in the stores. A family farm producing the highest quality foods for their family and ours. 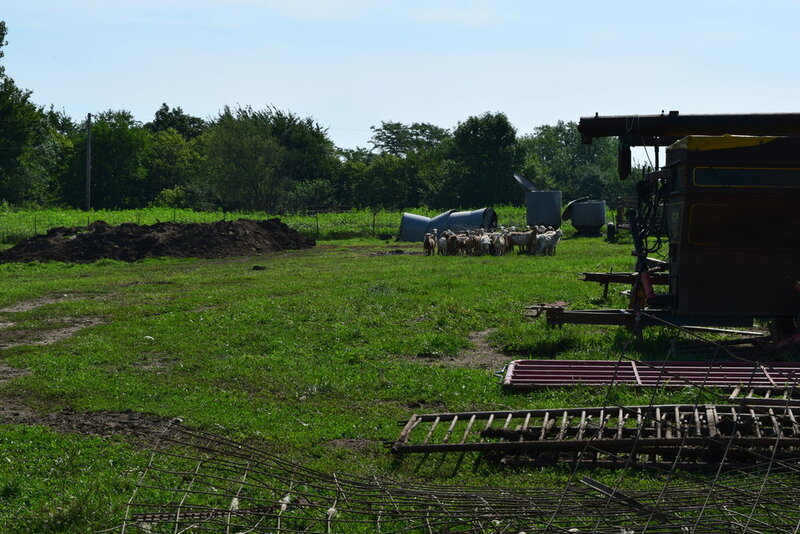 Since it is a small farm they really only are able to provide food to certain places and one of those places is The Cheese Shop of Des Moines, which I will talk about later in this post. I honestly took so many pictures at the farm. It's so much easier for you to see what they are doing versus me just talking about it. Not gonna lie, it was a great way to start the day. Fresh air, lots of animals, and it was before the Iowa sun could really get to us. I grew up in town and had friends that lived on farms and I always loved visiting. I feel it's harder for farm kids to get bored because there is just so much to do and all the land to run around on. Not to say that farm kids don't get in to plenty of trouble, it's just that priorities are different when you have to wake up with the sun to tend the animals. These kids were clearly very actively involved in everything they could be on the farm. The littlest one was much better at maneuvering through the unstable terrain than I though he just learned how to walk. Next stop, La Quercia. 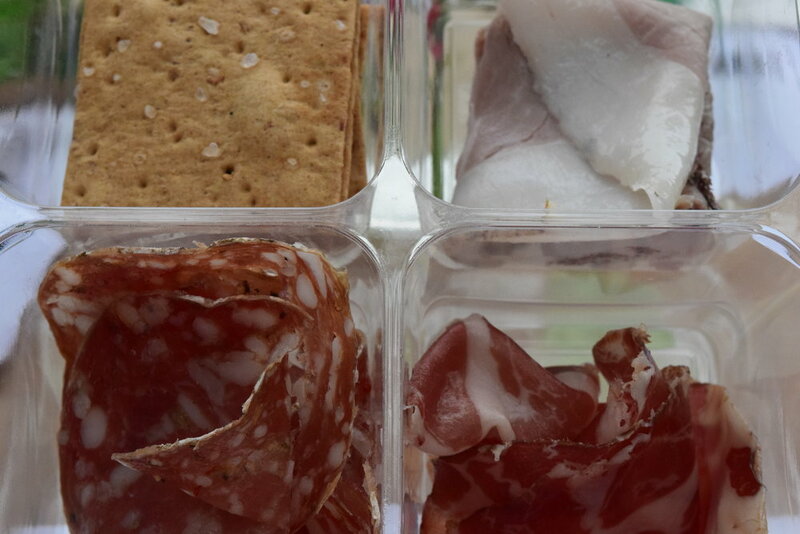 I've been in the business of specialty foods long enough to have seen the rise of American made cured meat products. 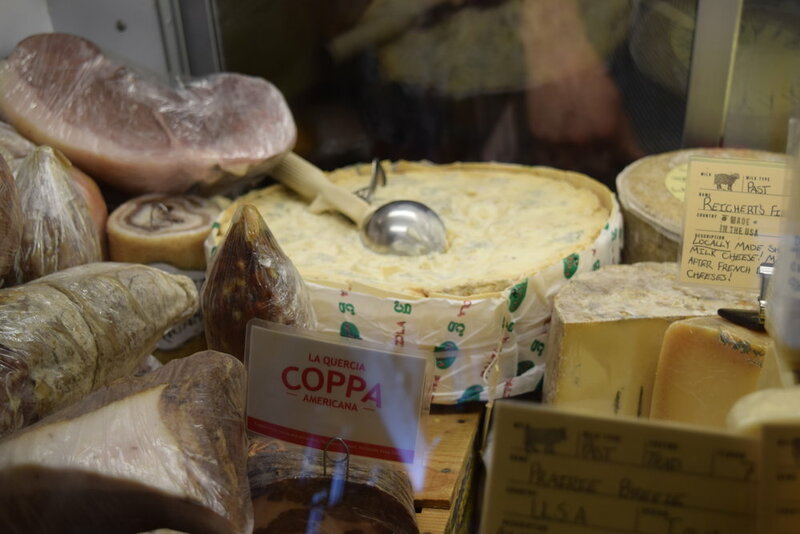 Finding these sorts of products used to be very difficult but now, in large part due to La Quercia's success, there are many options for American made meat products. Often times, locally sourced and made to boot. Kathy and Herb Eckhouse started La Quercia after living in Parma, Italy where they saw that attention to quality produced the most delicious foods. It's a no brainer then that they would start a business in Iowa where pigs outnumber people by at least 7 times. They source locally and are advocates for sustainable farming practices. They've won numerous awards for their delicious products but also for being ambassadors of the land. They take great care of their employees by paying them well and giving great benefits. Getting to tour their facility was a highlight for me since I have always loved and sold their products. Their Speck is absolutely delicious though I don't normally like smoked products. I love that they come up with products to use pieces that may not be sellable in normal avenues but are still good, quality meat. 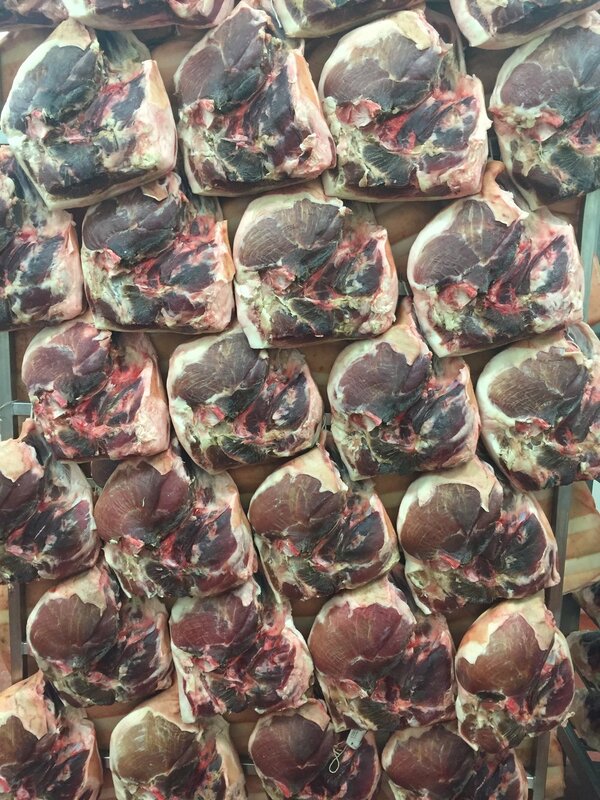 Take the N'duja for example, it's comprised of the shaved pieces of the proscuitto and speck when getting the legs ready for consumer sale. They can be awkward pieces but they can be chopped up with some spices for another delicious option. Once again though, the pictures speak louder than words could possibly ever. Take a gander at some pork. 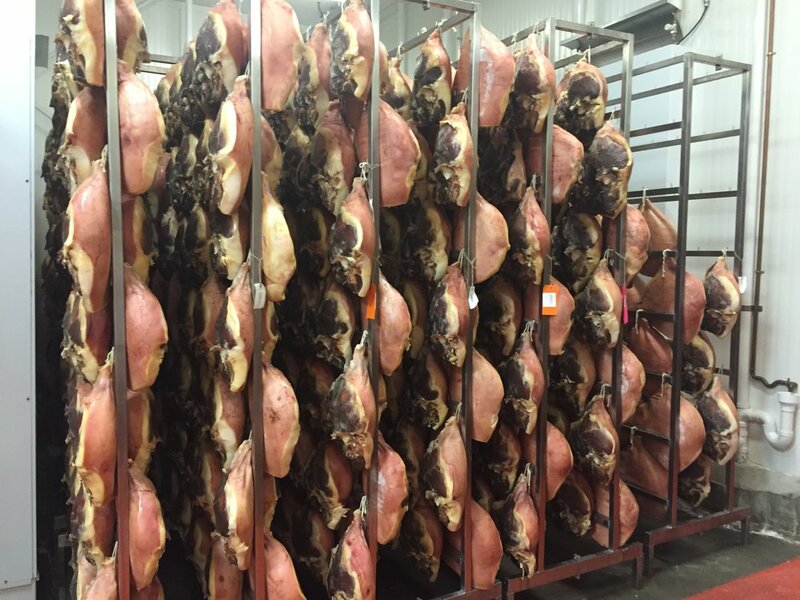 There are many rooms involved with curing proscuitto. Cold and windy, dry and warm, they all have their place in making sure the hams turn out perfectly. It's pretty amazing the difference in smells from each room. There is a definite change from a fresh meat smell to a cured meat smell and it happens quicker than you would expect. I love that Herb and Kathy have made the commitment to staying where the animals are raised to make great products right there. Not many would expect such a business in seemingly nowhere Iowa. It's important for the community and it gives them stronger relationships with the farmers they source their products from. Our final stop of the day was a block party at The Cheese Shop of Des Moines. Nestled in a tiny strip mall right off the freeway, you would never expect the culinary wonders coming out of that place. 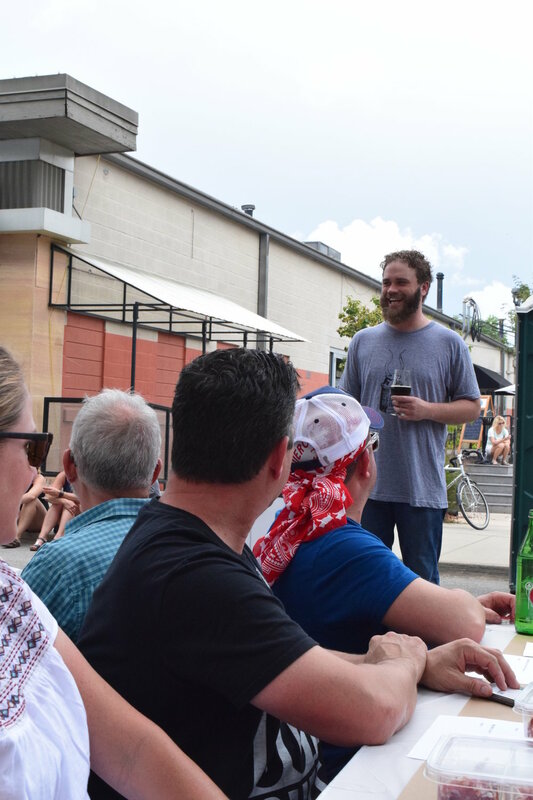 We started the block party with a tasting and education portion with my buddy Aimee from Red Table Meats and I was glad that everyone on the tour was getting a chance to try their great stuff. I didn't take any pictures of the block party but I did snap some pics of the Cheese shop. CJ has really created something special in Des Moines. His selection is impeccable and his mongers are truly top notch. They didn't get to fully enjoy the conference but they were there volunteering as much as they could be and I did see some of them out at the parties when not working. When the American Cheese Society conference shows up in your town, you can bet the cheese shop is going to be packed to the gills nearly the entire time. They took it like champs and enjoyed the chance to bond with fellow cheese people. It seems like the rest of Des Moines knows what they have there because they were pretty busy when I showed up there before the mass of conference started. Here's my snaps of the shop. It was a long day but I enjoyed every second of the tour. It was such a pleasure to get a snapshot of the Des Moines food scene. Please, do yourselves a favor and visit these establishments if you find yourself in the Des Moines area.